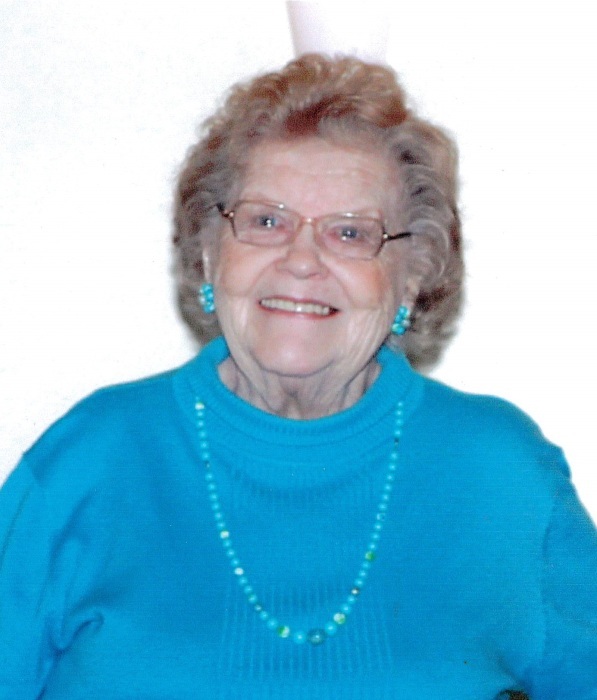 Annabelle Edwards of Arcola, IL (formally of Champaign, IL) passed away March 27, 2019 at Arbor Rose of Arcola Memory Care Home in Arcola, IL. A memorial service will be held on Monday, April 1, 2019, at the Edwards Funeral Home, 221 East Main St., Arcola, IL at 11:00 A.M. Rev. Dr. Jennie Edwards Bertrand will officiate. Her ashes will be interred at Mount Hope Cemetery and Mausoleum in Champaign, IL. Visitation will be from 10:00 A.M. to 11:00 A.M. prior to the service. Annabelle was born on February 9, 1925 in Williamsville, IL. She was the daughter of Anthony and Nellie Lou (Lutie) Dixon. She married her high school sweetheart Richard (Lowell) Edwards on December 26, 1942 In Corpus Christie, TX where her husband was stationed in the Navy. She is survived by her son Rick (Susie) Edwards of Arcola and daughter Cheryl (Tim) Brooks of Gresham, Oregon, granddaughters Jennie (Ryan) Edwards Bertrand of Bloomington, IL and Michelle (Todd) Dugan of Bunker Hill, IL, eight great-grandchildren and her loving unofficial therapy dog, Catie. She was preceded in death by her parents, her husband (July 30, 1988), her stepfather Austin Schilling, her five Dixon brothers Percy, Carl, Don, Dwayne and Dale and their spouses. Annabelle’s father died when she was fifteen months old. She, her mom and brothers moved to Urbana, IL where they operated a student boarding house for many years. Annabelle graduated from Urbana High School in 1943. She worked for Magnavox and Adler Zone Center in Champaign/Urbana but spent most of her adult life as a loving spouse, mother, grandmother and homemaker. Annabelle was an avid Illini fan and loved all sports. She particularly enjoyed attending Illini basketball games. She was a person who never met a stranger. Her family was the most important thing in her life. And her family always included her many dogs. During the last two years of Annabelle’s life she was resident of Arbor Rose of Arcola where she received most loving and kind care from all the staff. This was a true blessing to Annabelle and her family. In lieu of flowers, the family suggests a memorial gift to her granddaughter’s church, Hope Church in Bloomington, IL or an organization of the donor’s choice.